A member of the Sacramento Sheriff's Department who was formerly a school resource officer (SRO) for the Elk Grove Unified School District warned trustees last night that actions by the district are putting students life's in jeopardy. 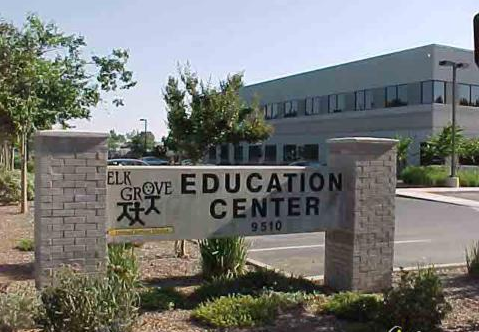 The comments were made by Dexter Powe during the public comment section of the Elk Grove Unified School District's regular meeting on Tuesday, November 14. Powe, who was speaking on his behalf, was formerly assigned as an SRO as part of the district's security contract with the sheriff's department. Powe, who was an SRO on district campuses for 12 years, started his comments by saying "unqualified, un-certified people were carrying guns on your campuses." Powe claimed the district has been dismissive of his observations and that the district has not conducted an inquiry. As part of the SRO members who were derisively called the Soul Patrol, Powe and four other African-American deputy sheriffs claim the district banned them from working on district campuses. The allegation of the derisive name for the deputies surfaced at a community meeting in January at Sheldon High School to discuss racial discrimination issues within the district. As an SRO since 2005, Powe said when the district hired their current director of safety and security, he targeted the African-American SRO's. "Even worse, in 2016 you hire the director of Safety and security. That's the same administrator who referred to us African American deputies as the soul patrol, then banned us from working," Powe told the trustees. "This district allowed that director to illegally carry his own gun on campuses. He confiscated, then reissued guns to those same unqualified district employees." Powe told the seven trustees that he would continue to bring the matter until they are addressed. He also suggested that other avenues of addressing his concerns will be considered. "This district has privately shown me how it will treat one person, but you are broadcasting to world how you are putting your kid's safety in jeopardy," Powe said. "With misconduct like this going on, how do these kids stand a chance." Powe added, "I will see you next month." After his comments, board president Nancy Chaires-Espinoza asked Powe about documents he mentioned during his presentation proving his assertions and if he could share them. Powe replied, "not at his time."